True Ugandan kabalagala banana pancakes are made using “ndizzi” bananas (as they are called in some regions of Uganda), but what do you do if you are in a place where you have none, but lots of “plantains”, known in Uganda as “gonja”? I tried it and in my opinion, they taste more like the “real thing” than with other banana types found in some places. The recipe & especially video, though illustrate how to make Kabalagala with or without ndizzi. add cassava flour little by little while mixing until it reaches a consistency allowing you to handle & knead it without it getting sticky. I have not stated the weight of flour used, because I did not weigh it, though for the 2 relatively big bananas I certainly used less than half a kilo, probably 300 - 400g. Knead it for a while with the hand. place the dough on a lightly powdered board and roll it to about 1/2 cm thickness. If it sticks too much on the rolling pin, it means you may need to add a little more flour. If you have “ndizzi”** instead, that is even better. Substitute the gonja with depending on the size, I would estimate 2 – 3 per gonja/plantain. **It seems they are otherwise called “apple bananas”, “manzana bananas”. A picture of ndizzi is at this link: http://farm3.static.flickr.com/2372/2401793290_ba5b192ee4.jpg . Other sweet banana types such as used for this recipe can be used but will not taste as good. More about “ndizzi”: http://www.bananas.org/wiki/Musa_Manzano (link is external), http://en.wikipedia.org/wiki/Bananito. Kabalagala is best eaten warm and soft. Warming up cold kabs in an oven makes them softer. Thank you! I used to eat kabalagala as a child growing up in Uganda. Left over 30 years ago and missed it everyday. +Electro These words could have come out of my very mouth! I came here in 1972, as a 14 year old, and missed Kabalagalas so much, until the family found the recipe. I used a number of “Ugandan” words in this recipe with Ugandans in mind. There are many types of “pan cakes”, but in Uganda, with “Kabalagala” one immediately knows what u are referring to, NORMALLY made with ndizzi + cassava flour. “Ndizzi” is such a word in the “Luganda” language referring to a particular type of bananas. I have seen them reffered to as apple b. & in Wikipedia “manzana” as well. 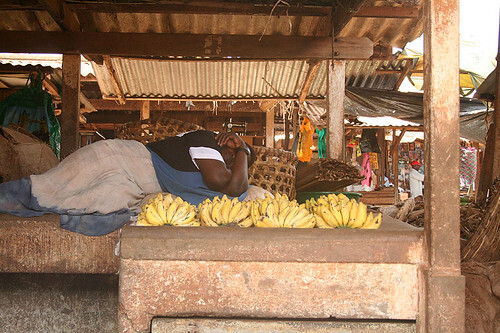 There are many small banana types that are NOT “ndizzi”. do u know how to make daddies or duddies cos i can’t find the recipes anyweher? I was a little puzzled about the referrence to ndizi and gonja. Plantains (gonja0 are plentiful here, but only here have I heard of “apple banana.” Recently a variety caled “burro bananas” have become available here, mostly in Asian or Hispanic markets. They are shorter than plantains and somewhat sweeter when fully ripe. Perhaps these are what you call ndizi. @leftysergeant I should add, there are many types of bananas in Uganda, but of those not cooked while still unripe (as “matooke”) a staple in some regions, there are 4 main types. “Ndizii” , “bogoya” looks a bit like but does not taste quite like “chiquita”, (the 2 known as SWEET bananas, eaten ripe) “gonja”, widely eaten in W. Africa + a few types used & suitable for making banana juice. … These are not used for other purposes. Could not post links to illustrate …. Your videos are so awesome! Can Unga Exe all purpose flour be used to make kabalagala? I got the flour from Uganda.